Aladdin celebrated five years on Broadway last month with a little help from its very own Genie—five of them, actually. 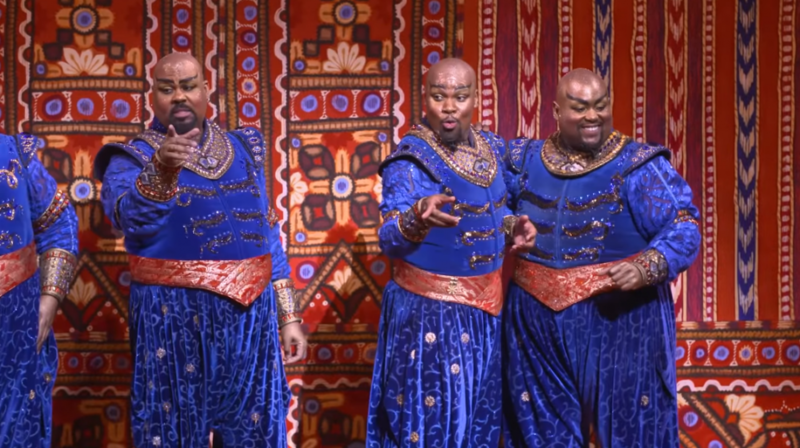 Tony Award® winner James Monroe Iglehart, who originated the role, teamed up with four current Genies—Broadway, tour and two standbys—to commemorate the show’s fifth anniversary with a medley. Watch the video below to see the Genies sing selections from some of the show’s most iconic songs, ending with a five Genie performance or “Friend Like Me,” then click on the link above to book your tickets to Aladdin!